So You Think You’re a Detroit Red Wings Fan? tests and expands your knowledge of Red Wings hockey. Rather than merely posing questions and providing answers, you’ll get details behind each?stories that bring to life players and coaches, games and seasons. • Who was the first Red Wings coach to win the Jack Adams Award as the NHL’s top coach? • Steve Yzerman was the captain of the Red Wings from 1986-2006. Who did he replace? • The Red Wings hold the NHL regular-season record with 62 wins. When did they set the record? 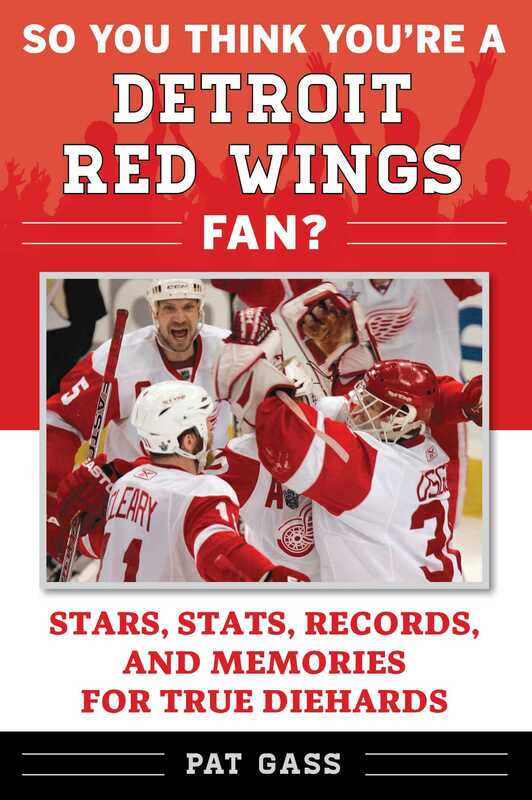 This book makes the perfect gift for any fan of the Red Wings! Pat Gass is a lifelong Red Wings fan, dating to the days of Gordie Howe. Book Cover Image (jpg): So You Think You're a Detroit Red Wings Fan?